I grew up in a Christian home and attending church. I heard sermons about Hope and sang songs about Hope. It wasn’t until I was much older that I began to understand the depths of that word. Don’t get me wrong… I’m not fertile now!! But I don’t “suffer” if that makes sense. One day, on January 3rd of 2008 to be exact, it all made sense. God was preparing to be a mommy. Just now in the way I had always planned. When I met my daughter I fell in love. She was mine. And I knew God had given her to me. She already knew her name so we never questioned changing it but we did change her middle name… to Hope. The hope that had left me had returned and Hope sure is beautiful. Today I sit here wondering what in the world is going on with this adoption process. I’ve sent emails and phone calls and all I get back is that “we are waiting to fit you guys into a class”. Well hurry it up!!! I didn’t say that… not yet anyway. I’m trying to not get upset and I’m truly trying to do the things I failed today the first time. The first time I was trying to become a parent I missed all the lessons. I felt like they were punishments. I missed out on what God may be trying to show me. And I don’t want to do that again. My heart isn’t “heavy” but it’s anxious. But this I know…. 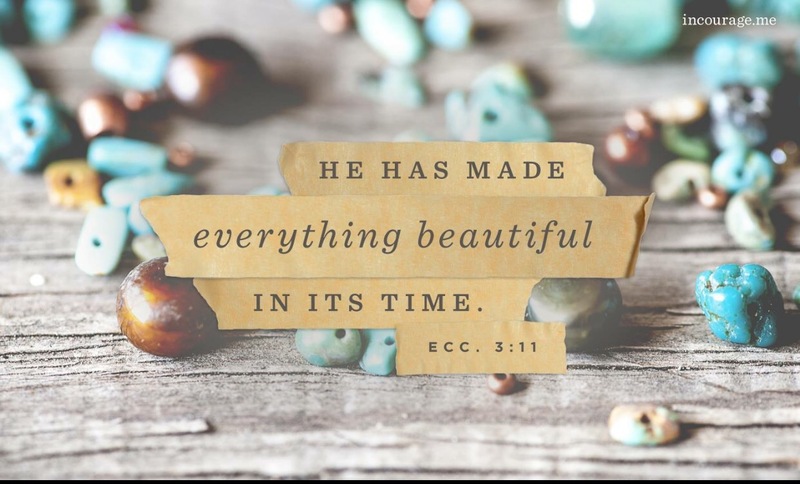 God makes all things beautiful in his time. And God, while you are making things beautiful– make me beautiful in you, too. Show me what I can do to be better prepared this time around. Show me what I need to work on and things I need to fix in me so that I can be a better wife and mother. And oh Father— Thank you for HOPE!